Mr. Md. Moshiur Rahman howlider has joined in this academy on august 2015. He passed S.S.C from Gaibandha Govt. Boys’ High School & H.S.C from Police Lines School & College, Rangpur. He completed Bachelor of science in Electrical & Electronic Engineering from Ahsanullah University of Science & Technology, Dhaka. He has 10 years experience in electro-technical field. He was Electrical Engineer in Bangladesh Shipping Corporation, Chittagong for five years. 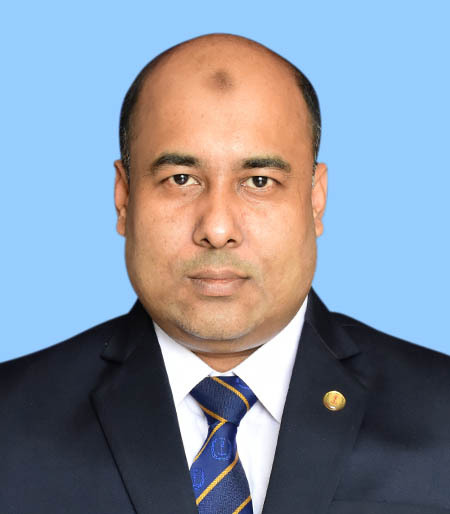 He served as an Assistant Engineer (Power plant & Factory) in naheed cotton mills Ltd, Tangail. He has also served as a system engineer (microwave & radio link) on telecommunication field in system & services Ltd, Dhaka.